Topiramate—brand name Topamax—is a prescription medication designed to treat seizure disorders. However, it is often prescribed to help heavy drinkers cut back significantly on their drinking. But is prescribing alcoholics Topamax effective? Here is what to know about Topamax and alcohol. How does topiramate treat alcoholism? Is topiramate effective in alcoholism treatment? What are the topiramate side effects in the absence of alcohol? How to use topiramate for alcoholism? How does topiramate interact with contraception? What is the criticism of topiramate for alcoholism? Topiramate belongs to the anticonvulsant drug class and was developed for the treatment of epilepsy. It was first used in the United States in 1996. Topamax has numerous off-label uses. It is prescribed most often for the treatment of migraines, not epilepsy. It is also used to treat pain, bipolar disorder, obesity, and alcohol dependence. Its use as a medicine for alcohol addiction began not long after it hit the market. Those who engaged in heavy drinking noticed that combining Topamax and alcohol abuse seemed to curb their cravings, and they drank less. As a result, doctors began using Topamax for alcohol dependence. While using Topamax for alcoholism is quite common, how it treats the condition is not fully understood. Based on its mechanism of action when treating other conditions, it is theorized that it comes down to how it interacts with GABA inhibitory neurotransmitters. Drinking triggers the body to release dopamine, which is a chemical that causes humans to feel good. Topamax interests with GABA inhibitory neurotransmitters to decrease the amount of dopamine released. The result is taking topiramate and alcohol leaves the user with a less pleasurable feeling. Topamax is not the only drug used in the treatment of alcohol dependence that is not fully understood. The acamprosate mechanism of action is also unknown. As such, some doctors try to steer clear of topiramate treatment and opt for drugs that are better understood. For example, disulfiram (Antabuse) is well understood and often seen as safer as a result. While the mechanism of action that makes topiramate for alcoholism work is not fully understood, studies seem to indicate that it is effective. When looking at Topamax and drinking, one study found that the drug resulted in greater success both during inpatient treatment and after. This indicates that doctors can use Topamax for alcohol withdrawal as well as alcoholism maintenance. 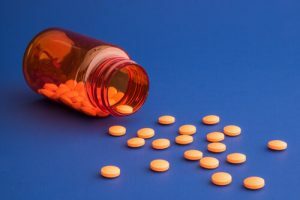 It has also been found that topiramate can be used before an individual stops drinking to help curb their desires and make it easier to cut back or quit their use. Because people can use alcohol and Topamax at the same time, it is one of the only drugs that can help someone prepare to enter rehab. This is a big reason why it is used in alcohol dependence treatment. It is important to note that Topamax does not stop the body from absorbing alcohol; instead, it blocks the rewards it triggers, decreasing desire. This makes it similar to other alcohol maintenance drugs like Vivitrol that blocks alcohol cravings. Whether or not someone uses Topamax for alcohol use versus other drugs is usually a matter of personal preference. Topiramate is used to reduce cravings for alcohol but not necessarily to eliminate the use of it completely. This can lead people to wonder what the side effects of Topamax and alcohol discontinuation are. Is it safe to continue using Topamax to prevent the return of cravings if someone is no longer drinking at all? Because continuing use after drinking has stopped can cause problems, some doctors will only use topiramate for alcohol withdrawal, not maintenance. Topiramate can be used to help prepare someone for stopping alcohol use, getting them through the withdrawal process, allowing them to reduce their use, or end their reliance on alcohol completely. Sometimes, medical professionals will use it for all four purposes, or they may opt to use different medications for different stages: for example, valium for alcohol detox and Topamax for maintenance. The topiramate alcoholism dosage can vary depending on what the goal is. When preparing someone for stopping the use or helping them cut back or end their alcohol dependence, Topamax is usually started at a dose of 25 mg per day, steadily increasing until a dose of 75 mg per day is reached. Once the person stops needing topiramate for alcohol cravings, their doctor will help them steadily decrease their treatment until they can stop, monitoring for signs of relapse throughout. If the topiramate alcohol treatment is focused on helping the user get through the withdrawal period safely, the medical staff supervising their treatment may decide to get them to a higher dose. The maximum daily dose for alcohol treatment is 300 mg.
Topamax can be taken with or without food and is administered orally. Users need to drink a lot of water to prevent the development of kidney stones. It is considered dangerous to take Topamax with other medications and substances that cause drowsiness, including alcohol, which means that anyone using it to reduce but not eliminate use must exercise extreme caution. Those undergoing topiramate alcohol treatment must also avoid additional sources of alcohol, such as certain types of cough medicine. This is similar to other medicines, such as alcohol withdrawal medication Librium. Another concern with the use of topiramate in alcoholics is that it can decrease the effectiveness of hormonal birth control, including pills, patches, shots, and the ring. This can result in pregnancy. This is problematic as people recovering from alcoholism are at risk of relapse while pregnant, especially since Topamax is contraindicated for pregnancy, putting the child at risk of fetal alcohol syndrome. It is suggested that women who are taking Topamax use multiple forms of birth control. While it is common to use Topamax for alcohol withdrawal and abuse, not everyone agrees with this. 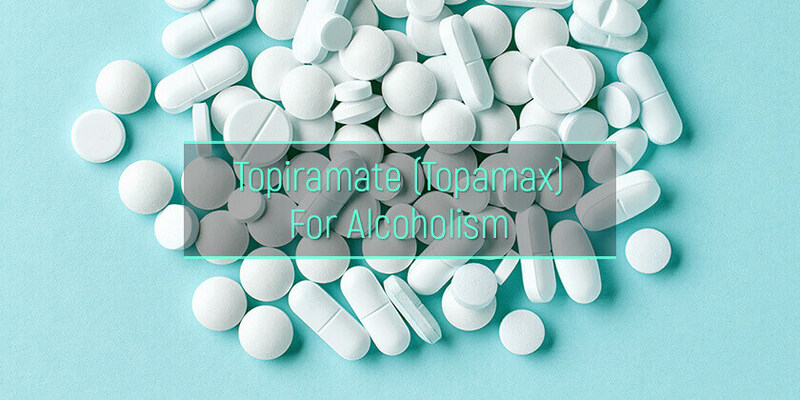 Drinking on Topamax can cause negative side effects, and these can cause long-term problems. Additionally, the studies that have shown positive effects of topiramate for alcohol dependence are not considered to be complete. They tend to follow users for short-term use only or do not engage in double-blind studies. Because of this, many experts recommend using it for detoxing from alcohol only, not for maintenance or decreased use. The other problem with this medication is that it increases the suicidal risks. The alcoholics abstaining from drinking are a vulnerable group, and Topiramate may worsen the situation with the mental balance. Another significant risk is the danger of kidney stone emergency. Take this medication with caution if predisposed to this condition. Anyone who is struggling with alcoholism should seek help from experts. While the idea of Topamax for treatment may seem enticing, only a medical professional can determine if it is the right option. Consult an alcohol addiction rehab to learn more.